The Fumo Bling! Flame is our latest addition to the Fumo Bling! Designer line! The Fumo Bling! 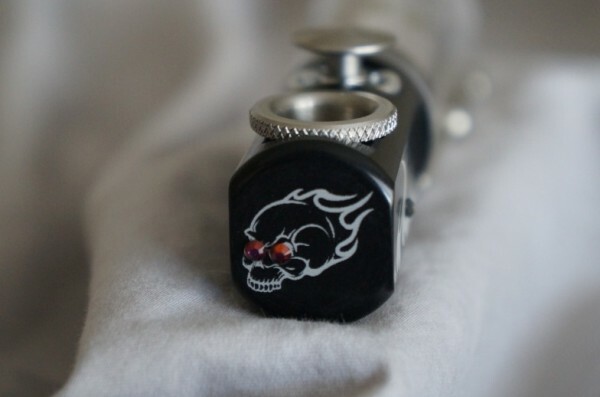 Flame has been designed with a fire flame on the sides and a flaming skull on the end, accented with AUTHENTIC Swarovski crystals. 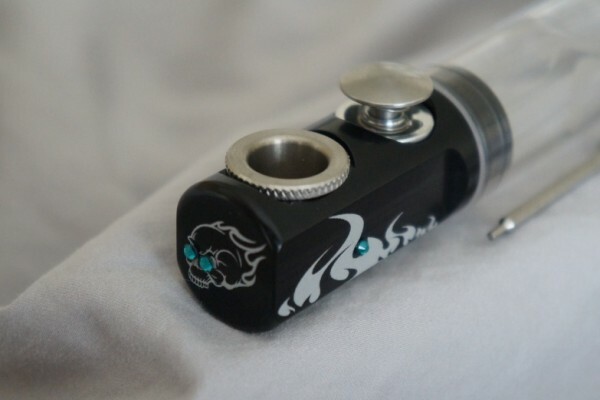 There is currently one color available for the Fumo Bling! 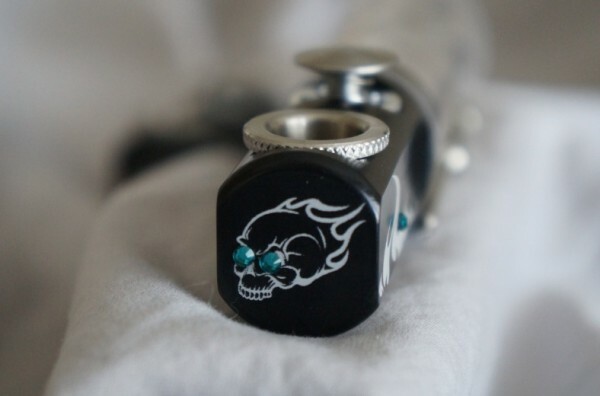 Flame; Black (has iridescent Lava Swarovski crystals) OR, Black (has Teal Green Swarovski crystals). 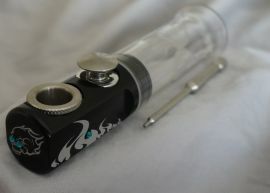 The tube has also been customized to accent the design aspects of the pipe. 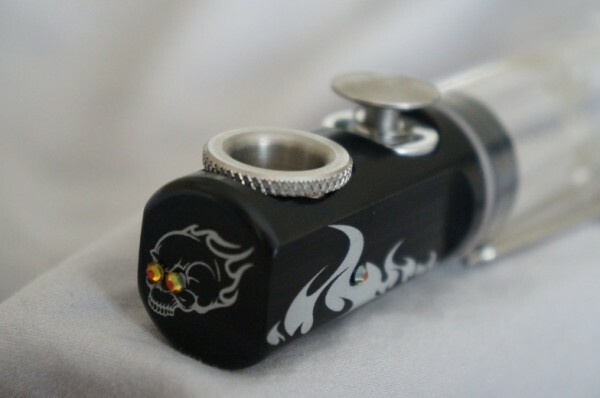 It too has similar flame design pattern around the 3" tube which comes standard with the Fumo Bling! Flame. This is the complete set that includes The Flame Designed Fumo Bling! Pipe, a Flame Designed 3" tube, Carburetor and Bowl (Brass or Stainless), 3 extra screens, 3 extra Swarovski crystals and a cleaning tool all in a pre-packaged box.